Don’t panic the next time a drain clogs in your home. You may be able to unclog it yourself with these three tips. There’s a good chance you can unclog a drain yourself with just a few cheap supplies and nifty tricks. 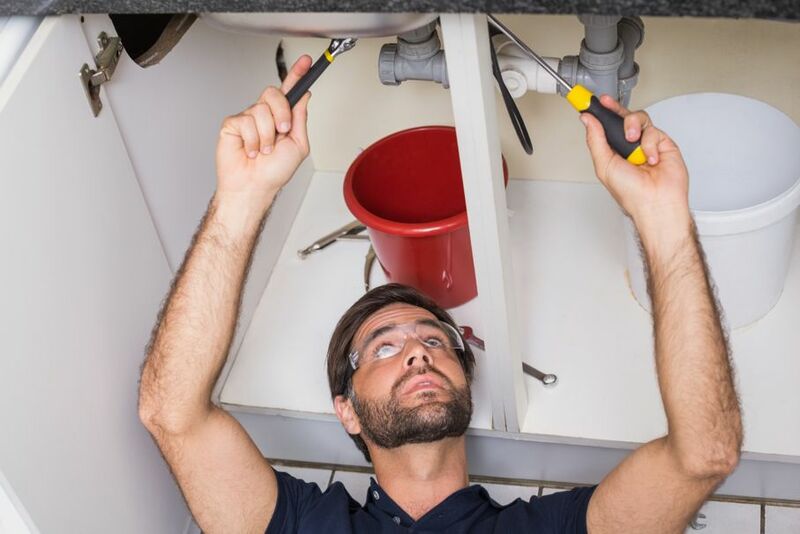 Doing it yourself certainly beats forking over hundreds of dollars for a plumber. So don’t panic the next time a drain clogs in your home. You may be able to unclog it yourself with these three tips. Surprise! Plungers aren’t just for toilet clogs. They’re great for clogged sinks, showers, and tubs too. But before you try using a plunger to clear a clogged drain in your kitchen or bathroom, fill the sink or tub with enough water to completely submerge the mouth of the plunger. Obviously you’ll have to skip this step if your sink is already full of yucky backed-up water. In either case, put the plunger directly on top of the drain and make sure you’ve got a tight seal between the plunger and the drain so the plunger can force air directly into the pipes. Give the plunger several quick up-and-down pumps. 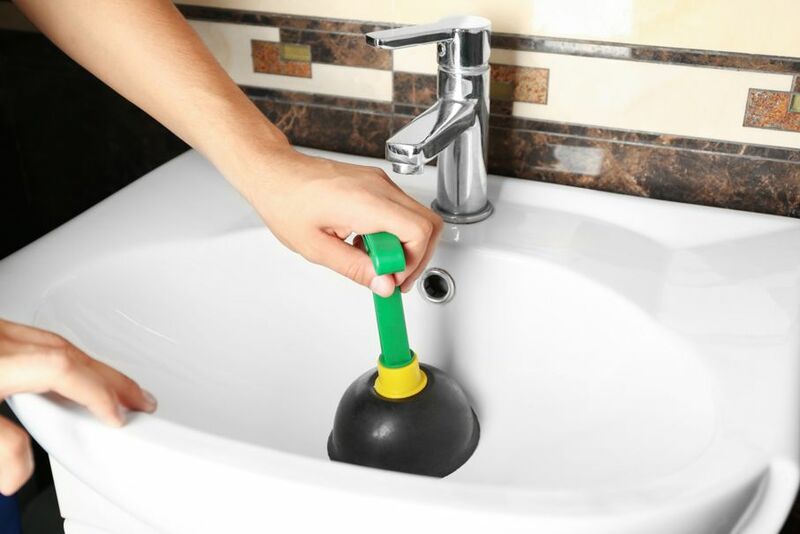 After you’ve worked the plunger for a few seconds, take it off the drain and see if it starts draining properly. If it doesn’t, try plunging a few more times before you give up and try something else. If you’d like to try this solution, first get your biggest pot, fill it with water, and start boiling it on the stove. It’ll come into play in a few minutes. Next, remove any standing water from the clogged sink or tub to get better access to the opening of the drain. (You may have to use buckets and/or create a siphon to remove the standing water.) Next, pour 1 cup of baking soda down the drain. 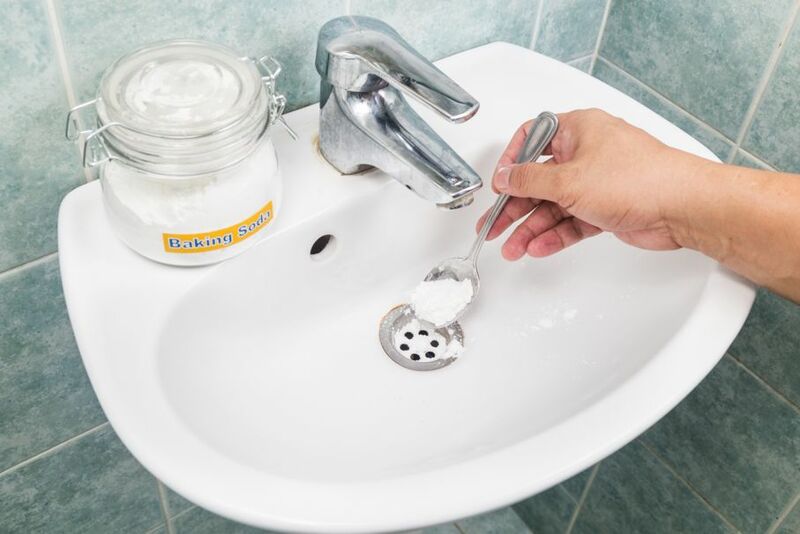 Even though the drain is clogged, try to get as much baking soda as you can down inside. Then pour 1 cup of vinegar down the drain. Every schoolchild knows what happens next. The baking soda and vinegar react with each other to create a fizzy solution that can work to dislodge particles clogging the drain. Let the solution do its job for about 5 minutes. Follow up by pouring the pot of boiling water down the drain. Then turn on the tap and see if the water drains properly now. You should be able to tell immediately if this trick worked to clear the drain. First boil about a half-gallon of water. 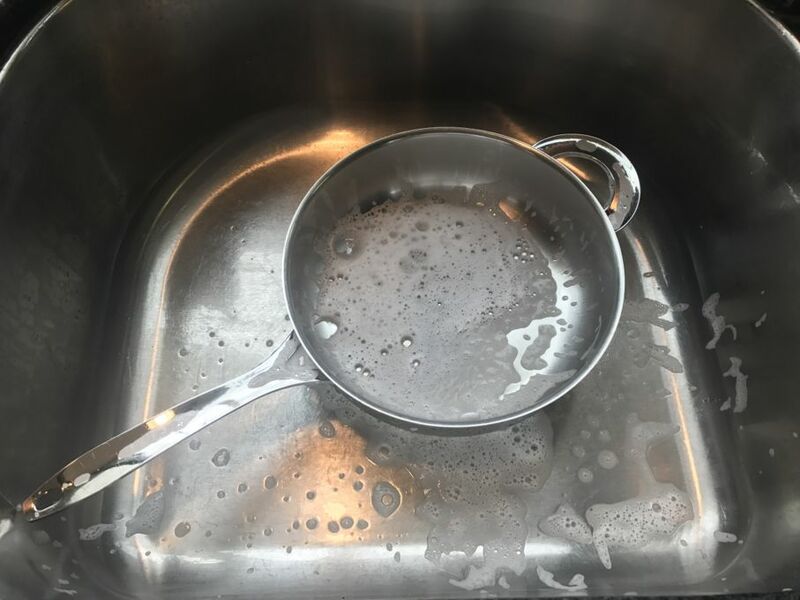 When the water comes to a boil, stir in 2 or 3 tablespoons of dish detergent. The slowly pour this hot solution into the clogged drain, and flush it out with warm running water from the tap. Repeat this process a few times before moving on to the next trick. A plumber’s snake is a slender and flexible metal auger that is used to dislodge clogs. Also called a drain snake or a toilet jack, this tool is usually reserved for difficult clogs that a plunger can’t clear. Good consumer-grade plumber’s snakes usually cost about $30. You may want to consider investing in one if the plunger and liquid solutions have failed. It’s likely this won’t be the last clogged drain you deal with in your lifetime, so a plumber’s snake may be able to pay for itself over time. 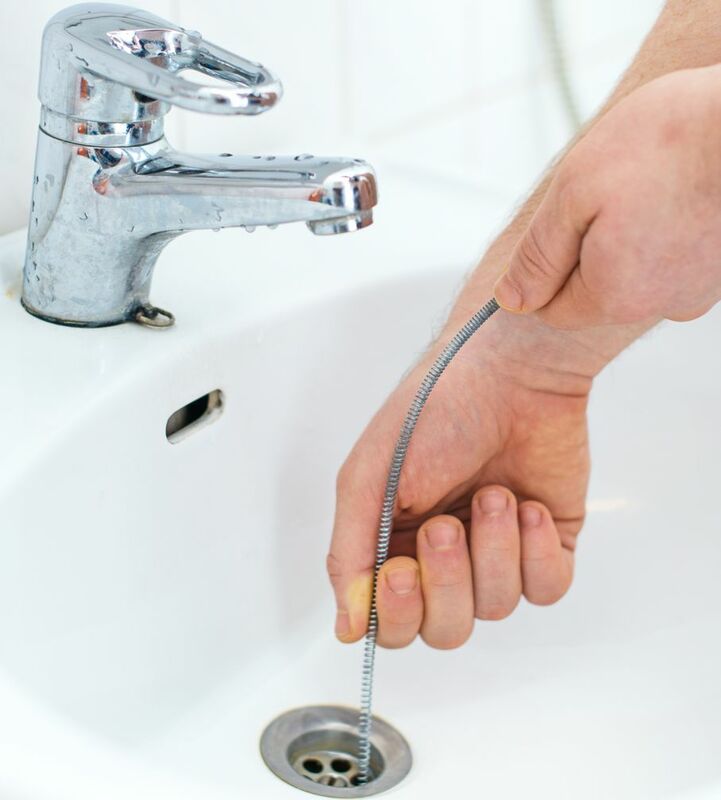 Before using a plumber’s snake, get a bucket and place it under your sink to prevent a mess in the next steps. Then detach the curved section of pipe (the p-trap) under your sink. If the pipe is difficult to detach, use a wrench to loosen the connectors. Then dump the contents of the p-trap into the bucket. Now insert the end of the snake into the pipe that’s coming out of the wall and push it in until you meet with resistance. Then pull about 1.5 feet of the snake back out of the drain and then tighten the snake’s lock screw. Now turn the snake’s handle clockwise while pushing the snake further into the pipe. Keep pushing and turning the handle until the end of the snake catches onto something. Then pull the snake out of the pipe, and hopefully whatever is causing the clog will come out with it. Now loosely reattach the p-trap and turn on the tap to see if the water drains now. If not, try the snake again, or concede that the clog has bested you and call a professional plumber. But if the water now drains well, you can tighten up the p-trap and pat yourself on the back for a job well done.